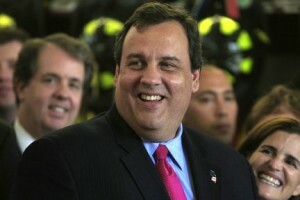 New Jersey’s Republican Governor Chris Christie is cruising towards a huge election victory in November, mainly because he is seen, among Democrats and Independents, as the most effective candidate to work with Democratic President Barack Obama, a new poll shows. According to the Rasmussen Reports poll of likely voters, Governor Christie has a large lead over his democratic opponent, with Christie attracting 58% of the vote, while State Senator Barbara Buono earns the vote from 28%. Four percent (4%) prefer some other candidate and 10% are undecided. Among Women voters, Christie has a 60-26 leads, and a 62-16 lead among Independent voters, who make up 27% of the electorate. Thirty-five percent (35%) of Democrats plan to vote for Christie. Following Christie’s embrace of President Obama in the aftermath of Hurricane Sandy, despite of his support of Mitt Romney, 57% of NJ voters believe Christie would be more effective than Buono at working with Obama over the next few years. Just 22% think Buono would be more effective. Overall, 70% of voters in the state approve of the way Christie is doing his job. Among New Jersey voters who approve of the way Barack Obama is doing his job, 59% approve of Christie as well. Seventy-eight percent (78%) in New Jersey give Christie good or excellent marks for his response to Hurricane Sandy. Yay Christie!! If you live in NJ, would you vote for him or not?